Hey everyone pull up a chair and stay while, there's always something yummy cooking in Mommy's Kitchen. What is Mommy's Kitchen you ask? Well, it's just my little place in the blogosphere! Kind of like my virtual kitchen sort of speak. You wont find nothing frilly or anything fancy in Mommy's Kitchen only because my kid's wont eat it. You will find country cooking, comfort food, and old fashioned clasics. You know the ones, all those recipes that remind you of home. Well lets see, I'm a wife, mother of three, penny pincher, domestic engineer , passionate food enthusiast, amateur food photog, and all around southern girl at heart. My days are filled with raising kids, cleaning house, endless loads of laundry and most of all doing what I love, cooking, baking and blogging all about it. I rarely have time to myself, but if I do get a moment alone then you don't have to look far. You can usually find me with my nose poked in a cookbook or in my kitchen baking. I grew up in the kitchen watching and learning from the best, my mother! I was raised on home cooked meals and eating together as a family. Now that I'm a mom I try my best to do the same for my own family. I currently live in Texas and have to admit my ♥ Heart ♥ is in the South and all the good Ole Southern Comfort Food that goes along with it. I have always been obsessed with recipes and cooking for as long as I can remember. 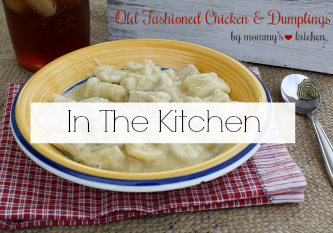 As a little girl I remember sitting on the porch jotting down recipes from my mother and magazines, saving them to keep for the future when I had my own family. It was just something I loved to do. Food, me and recipes it just kind of went hand in hand. Fast forward to today. My Children range in ages from 8 to 18 and share the same joy of cooking as I do. I try my best to get them involved in the kitchen as much as possible. I'm thankful that my mother taught me how to cook at a very young age, so I want to do the same for them. Our family relies on one income, so eating out too often can be an expense that we just cannot afford. I believe, some families eat outside of the home entirely to much. The amount of money you spend on fast food definitely adds up quickly. I think a lot of people have forgotten how important it is to cook at home and eat together as a family. How Mommy's Kitchen started and who it's for? Food blogging kind of just started as a hobby and quickly became something so much more for me. 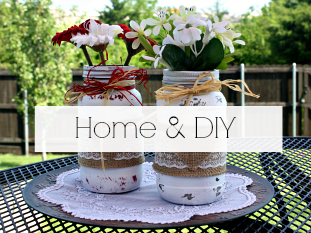 I take pride in being a frugal, penny pinching, home cooking stay at home mama. 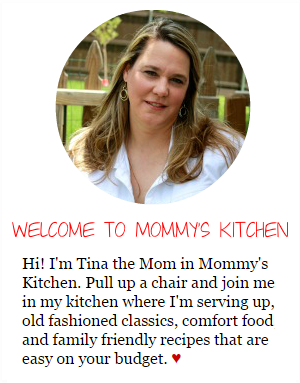 I quickly became passionate about my site and recipes. 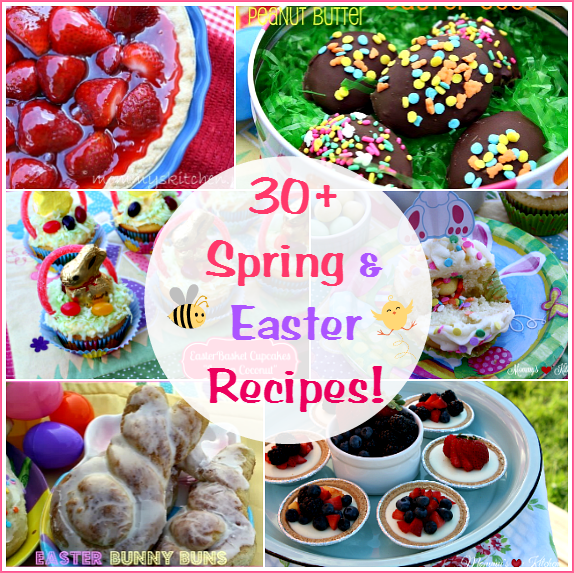 I wanted to share simple easy family favorite recipes with other moms. I wanted to show everyone that they too can cook great home cooked meals all by themselves. I wanted to help out others that weren't as lucky as I was. I really want to get families back to the table sort of speak. I want to show everyone just how food and family can come together. I want to get folks excited about cooking and not to dread mealtime. I want to let everyone know that if they're just willing to try, then they can cook meals to be proud of. I know myself, and I learn through visualization, so I have my site up with step by step recipes in full photographic tutorial. This way anyone can follow along and learn. 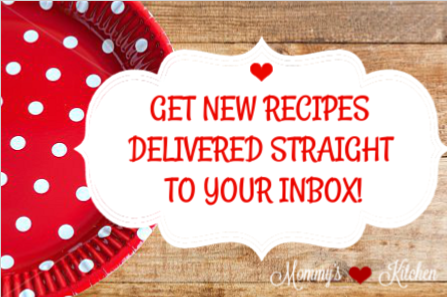 The more recipes I added to my blog the more recipes people wanted. I couldn't believe that there was such a need for everyday home cooking. I'm thrilled and tickled pink that people want to learn to cook. Because of this I'm such a passionate food blogger and doing what I love cooking, baking and sharing recipes. I'm not a professional cook, just a mom cooking in my kitchen trying to find my way and enjoying every minute of it. I'm not a professional photographer and don't claim to be. I don't have anyone that takes my food photos. It used to be me and my cool pix, but now it's just me and my Canon Rebel XS. 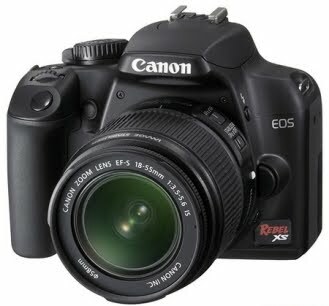 Yep I finally got me a big girl camera, I feel so professional now. I'm still learning the in's and outs on picture taking but I'm getting better. Most times I just point and click and it all seems to work out. I think food is beautiful and should be photographed as such. I mean if you want someone to eat it then it has to look tasty now doesn't it? My photos surprise me everyday at how great they turn out. Sometimes I cant believe I captured a certain shot that I usually have to do a double take. Now a couple facts about about my kitchen. It's pretty small and I'm limited on space. It's nothing fancy schmancey by any means. It may be small, but its all mine. I love my kitchen, but don't get me wrong I do long for something bigger. Don't all cooks want a bigger kitchen? 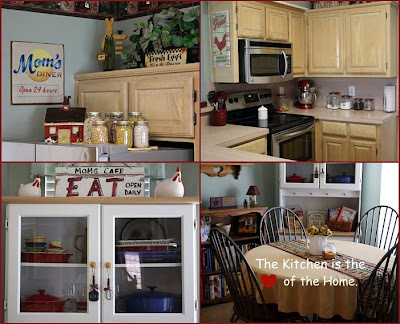 Oh well I know someday I will have that country kitchen of my dreams. Until then this is my small little place in the world and I love it. In Mommy's Kitchen I truly believe that the kitchen is not only where family meals are prepared, but also where memories are made with your children to last a lifetime. I remember growing up and cooking in the kitchen with my mother. Well, more watching than cooking most times. My mom was the type of cook that never measured anything so jotting down recipes was kind of hard. My mother also thought that kids needed to watch when cooking instead of helping. Not in Mommy's Kitchen!!! That's not how I do things. As you can see by my photos below, I always have a handy helper in. I want my kids to know that they too can help out in the kitchen and even mess things up a bit. It's all about keeping it real. Those are the memories that I want to pass onto my kids cooking, baking and having fun all at the same time. Hopefully they will continue to pass on those traditions and memories to their own children. If anything I hope that my site will get you back in the kitchen and cooking. If you don't know how to cook or don't like to, I hope that you will give it a try. Cooking at times can be trial and error and sometimes you may even crash and burn, but that's ok. Just remember to pick yourself up, dust off your apron and keeping trying, I promise you will get it. Everyone has to start somewhere there was a day that even I made a few disasters of my own and still do at times. 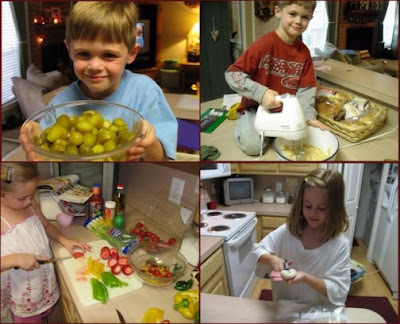 I hope that my site and photos will inspire you to get into the kitchen with your children and cook. I know one day they will thank you for it. Just give your kids a chance they will surprise you on what they can do. Cookbooks of course! I have a huge collection, but my favorite ones have to be my Autographed Cookbooks from Paula Deen, Trisha Yearwood and The Pioneer Woman. I adore Edna Lewis and have a few of her cookbooks as well. Miss Lewis was the first original true southern cook. I also have a soft spot for vintage cookbooks, soul food cookbooks and gooseberry patch books. I truly believe the way our grandmothers and mothers cooked is the best way to cook for our families. I know that they sometimes use fattening ingredients like butter. But you can always lighten up a dish by substituting. I just love cooking from scratch the old fashioned way. In the end you save so much money. So grab a seat and something to eat!!! I loved to hear you love your cookbooks and collect them. I love cookbooks and trying out new recipes. I'm not the greatest cook but If it sounds good I'll try it. When my mom passed away I found a stack of old recipies cut out of newpapers,magazines and little notes marked like "so-so", "real good" or "its a dud". I smile and think back on some of the ones she made and some of the trial and errors she did. I now have her old cookbooks like 1st edition of Betty Crockers. Some of the cutout recipes dated back from the 60's 70's and later. I hope your kids will enjoy all of your favorite recipes and cherish them as I do mine. I just wanted to say thank you so much for sharing your recipes and not only that but posting the pictures to go along with your recipes. I'm a very visual person so I found the perfect website to learn some neat dishes. I resently got married and planning to be a great cook for my hubby. I'm sure he'll also love your website since we like to learn different dishes and cook together. Hi, My name is Patti and I was looking for a overnight crockpot recipe for oatmeal. I came across Mommy's Kitchen recipe and loved it!! It came out awesome! I have since joined this site and am sooo looking forward to learning more. I am very new to this sort of thing so if anyone has any tips feel free to let me know. I came across your site when looking for a sopapilla cheesecake recipe, and I love it!!! I love cooking and trying out new recipes. I also have 3 kids and live in the south (louisiana), so I don't do much "frilly" cooking (no one would eat it if I did lol). I'll defenitely be back. Thanks for putting in the time and effort, I can't wait to try some of your recipes! Hi Tina. I 'm a seventy-five year old granddad and primary cook for my wife son and three live in grandchildren, ages 7. 9 and 13. We were looking for a quick and easy blackberry cobbler recipe and found your site. Have made it twice and it disappears immediately. It is a good recipe for a seven year old and an old worn out granddad..
Love your blog!! And your recipes. I can tell each recipe and creation is made with love!! HI! I just found your site and wanted to let you know how much I love it. As a fellow mommy-in-the-kitchen, I've struggled with feeling that "the world" really doesn't appreciate or validate what I was taught to call "the home arts." Being a mom whose life revolves around making the house a home is what my mom and both grandmas were all about, yet I grew up feeling that wasn't enough. Fast forward a few decades, and I find myself a wife and mom who wishes she'd paid more attention to all that stuff my mom did in the kitchen! I've been doing more cooking since my kids were born and I am devoted, as you are, to Southern/country foods. 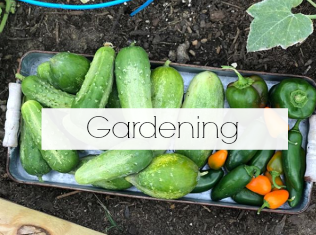 Summer is a great time for fresh produce, and I decided this year to finally try my hand at canning. I am going to try peach preserves first, so wish me luck! Hello, I stumbled upon your site when I was searching for sites on rock painting. I truly love all I've seen. I have fixed 2 of your recipes. The first one I don't remember, but the 2nd one was semi home made chicken and dumblings. My family loved it and I will be making again soon. I log on to your site every nite to see what might be new. I found your site a couple of weeks ago and have really enjoyed the recipes. I have tried the goulash(yummy), the banana pudding, and the pot roasted chicken and vegetables. Everything has turned out AMAZING. I am trying the pot roast, italian beef sandwiches, and the peanut butter cupcakes this week. I really appreciate the pictures that go along with the step by step recipes. They really help someone like me that is very visual. Thanks for helping a working mom feel like a great chef!!! 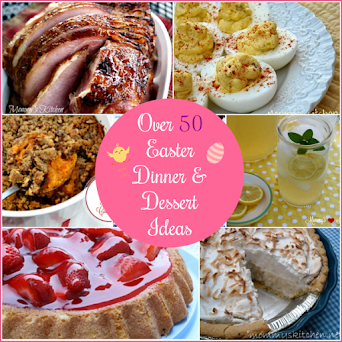 Hi Tina - love your blog - added to my favorites - your recipes look wonderful! I can't wait to try them!